Bird and Trout of ATS-34 with nickel silver bolsters and stag scales. 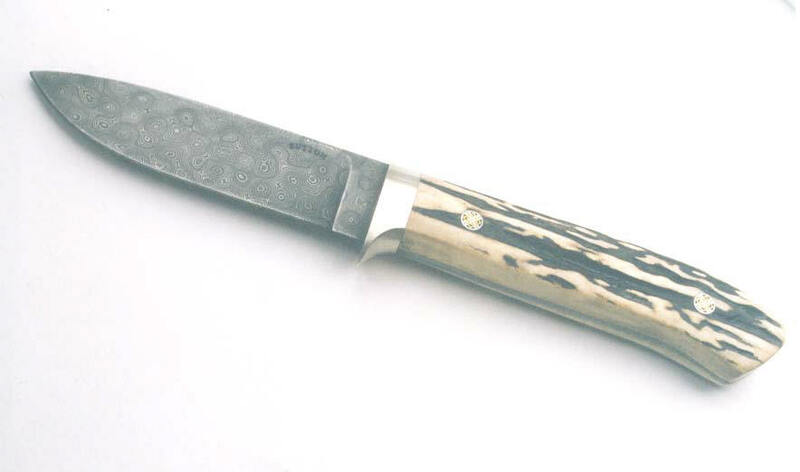 Medium hunter of Mike Norris raindrop ladder pattern Damascus and a nickel silver guard and stag scales. 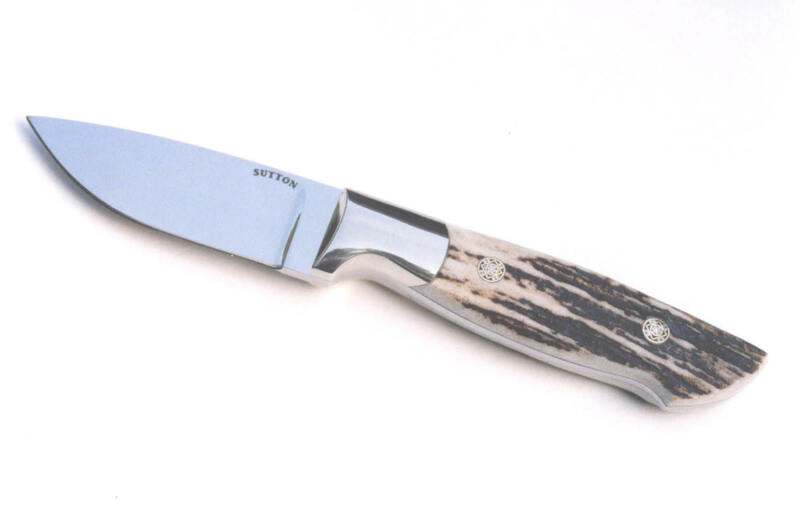 Medium hunter of ATS-34 with nickel silver bolsters and stag scales. 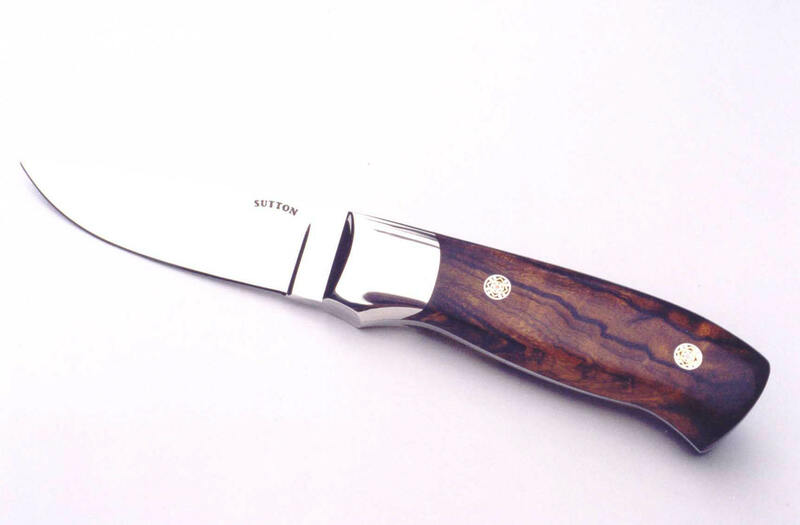 Medium hunter of ATS-34 with nickel silver bolsters and exhibition desert ironwood scales.